The 8KCAB series are fairly simple airplanes, mostly 1940 technology with a few bells and whistles. Pilots seem to cope with the fancy bells and whistles fairly well but my observation is that there needs to be more effort by pilots new to the type into learning some very basic stuff. The park brake. There is a placard adjacent to the park brake knob which clearly explains how to operate it. There are instructions in the Airplane Flight Manual and the Pilot Operating Manual. So, why do so many pilots tell me that they have set the park brake yet the airplane moves freely when given a gentle tug. Weight and balance is a fairly important topic, not really critical in the Decathlon as on a typical training flight with the usual weights of pilots then it is generally within the permitted envelope – just follow maximum weight limitations. 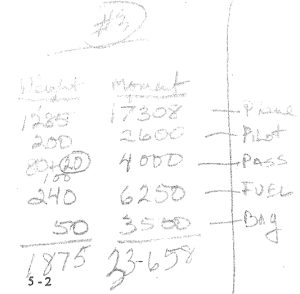 Yet, pilots seem unable to actually determine the weight and balance for a particular loading. The method in the Airplane Flight Manual is expanded upon in the Pilot Operating Manual with a sample calculation which is easy to follow. So simple that it can be done on the back of envelope. The thing that catches most people out is that the Manuals use Imperial units whereas stuff generated in Australia is mostly metric and if a new approved loading system is not provided then pilots need to work with the system in the Manual. There is plenty of help online to convert from one set of units to another. Some people use a simple Excel spreadsheet. Compare your calculations with the sample then proceed with your own – if it looks inexplicably different from the sample then it is probably wrong. “You begin by studying and learning the new aircraft’s systems and operating procedures since the bottom line to all flying is knowing everything that we can about the aircraft so we can operate it safely. You will find this information in the aircraft’s flight manual (AFM), owner’s manual, or pilot’s operating handbook (POH). 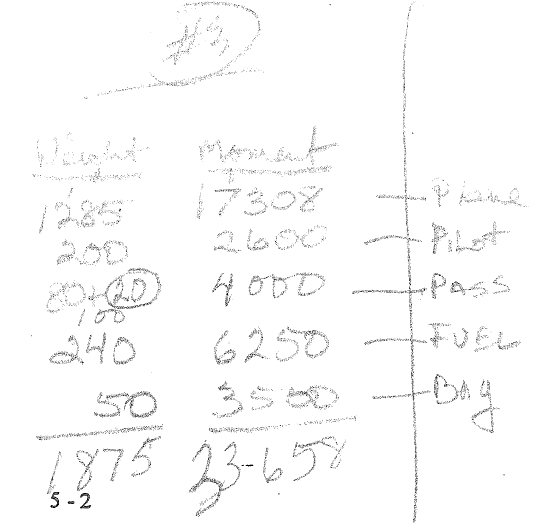 If the aircraft is an older model, it might have a very basic owner’s manual. If so, you need to be aware that the older manuals may not have the same information as some of the newer manuals, nor are the older manuals organized like the newer POH’s or AFM’s. Although the older manuals have less information than the new manuals, they still provide the basic information. I encounter some pilots who have flown Decathlons for some time but they have never even opened up the Airplane Flight Manual. They tell me that it is in the airplane so at least they know where it is. Perhaps. I know of some airplanes which do not have the FAA Approved Airplane Flight Manual in it – instead they have just that other Pilot Operating Manual – not quite the same with some conflicting information.